In my continuing review of the B vitamins and why they’re important for your health, I’ve put together some insights about B6, next. This is the fifth in this series. If you’re wondering why it isn’t the sixth in the series – it’s because vitamin B4 doesn’t actually exist. To find out why that is, see our article on vitamin B5. Back to vitamin B6, though; to learn more, keep reading below. Vitamin B6, also known as pyridoxine, is one of eight B vitamins that help to produce red blood cells, metabolize fats and proteins, maintain good nerve function, and perhaps most importantly, it helps the body convert food into fuel. It is a water-soluble vitamin, meaning it’s quite safe to take as a supplement, and many people do, in order to boost both their mood and immunity. 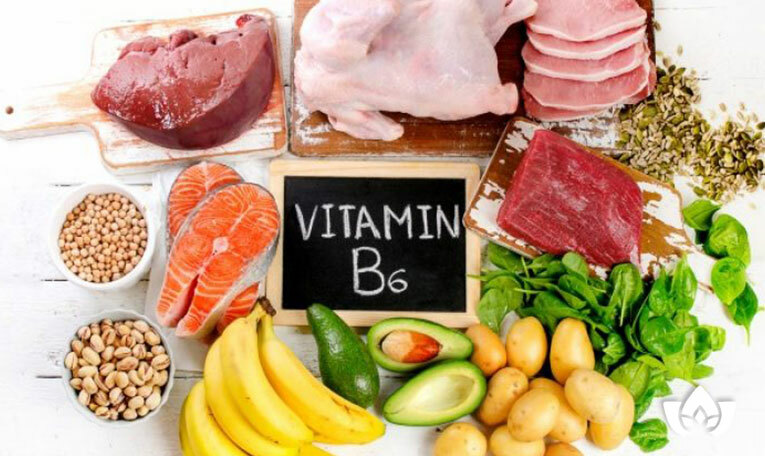 Vitamin B6 is very collaborative, working with many other vitamins and minerals to improve overall health; read on to learn some of the specific benefits you can rely on it for. There have been several studies that have explored how vitamin B6 is effective as an anti-tumour or anti-toxicity agent. Vitamin B6 intake through a combination of diet and supplementation seems to also significantly decrease the risk of breast cancer. Lastly, it seems to be particularly helpful in averting gastrointestinal tumors, as well as possibly being an indicator for other protective dietary micronutrients. Vitamin B6 is used by the body to regulate homocysteine levels in the blood, which have been linked to inflammation and heart disease, contributors to cardio-pulmonary issues. When you don’t have enough B6 in your body, homocysteine will build up and damage the lining of your blood vessels, encouraging plaque buildup that can be dangerous and that can lead to increased risk of stroke or heart attack. Vitamin B6 has been studied to learn why it’s so effective for alleviating symptoms of autism, although they suspect it is because B6 is crucial for the synthesis of neurotransmitters. Autistic patients have brains with impaired neurotransmitter systems, and this is part of what causes the symptoms they experience. When vitamin B6 is used as a treatment, almost half of autistic individuals experience an improvement in their behavioural problems, suggesting that B6 supplementation helps enhance their neurotransmitters. The B vitamins as a whole are renowned for improving a wide array of cognitive functions, including mood, response to anxiety and stress, focus, memory and energy. It helps by repairing the neurotransmitter system in your brain, while also boosting the production of happy hormones such as serotonin and norepinephrine. Vitamin B6 helps create hemoglobin in the blood, which your red blood cells transport throughout your body to bring oxygen to all your tissues and cells. When you are anemic, it’s because your body doesn’t make enough hemoglobin and red blood cells are not functioning properly; it can cause fatigue, weakness, aches and pains.Microcytic anemia could be caused directly by a vitamin B6 deficiency. However, by increasing the foods rich in B vitamins, and by supplementing as needed, you can help give your body what it requires to produce more red blood cells, delaying or lessening the effects of anemia. Vitamin B6 can also reduce the symptoms of rheumatoid arthritis, including severe pain, by suppressing inflammation and swelling. As well, it is believed to help prevent the onset of certain eye diseases such as macular degeneration. Women know vitamin B6 to be particularly helpful in reducing the severity of morning sickness during pregnancy, and others use it to help alleviate the symptoms of premenstrual syndrome. If you find that you need to supplement further, B6 is available in capsule and tablet form, and is often taken as a B-complex supplement. It’s most often people whose small intestines don’t properly absorb nutrients that experience vitamin B6 deficiency, though kidney disease, genetic diseases or certain epilepsy medications can also be a factor. Those with vitamin B6 deficiency will often be deficient in other B vitamins, such as B9 and B12. 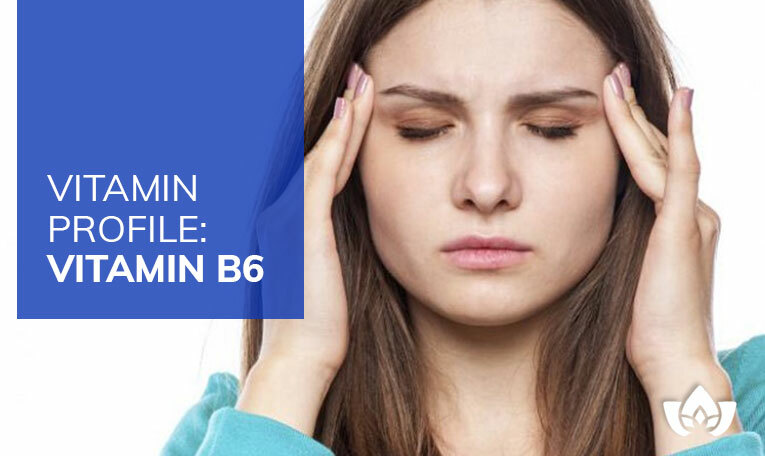 Symptoms of vitamin B6 deficiency include anemia, confusion, depression and a weak immune system. If one of the above conditions have cropped up in your medical history, or if you are affected by them currently, consider supplementing your treatment with naturopathy for fullest effect and best prognosis. Call now to set up a consultation with me, Dr. Maria Cavallazzi, so we can discuss your challenges and the best way to combat them. I can recommend a course of treatment for you and help you reach your health goals with a plan that leverages the body’s improved functioning to achieve the desired results.